We will show first that F(x) is defined at each x in the interval I. If x>a and x is in the interval I, then by the theorem if a function f is continuous on an interval [a, b], then f is integrable on [a, b] can be applied to the interval [a, x] and the continuity of f on I ensure that F(x) is defined; and if x is in the interval I and x≤a, then the above theorem ensures that F(x) is defined. 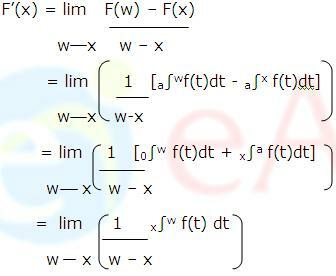 Thus, F(x) is defined for all x in I. If x is an endpoint of the interval I, then the two sided limits in the proof must be replaced by the appropriate one sided limits, but otherwise the arguments are identical. If a definite integral has a variable upper limit of integration, a constant lower limit of integration, and a continuous integrand, then the derivative of the integral with respect to its upper limit is equal to the integrand evaluated at the upper limit. 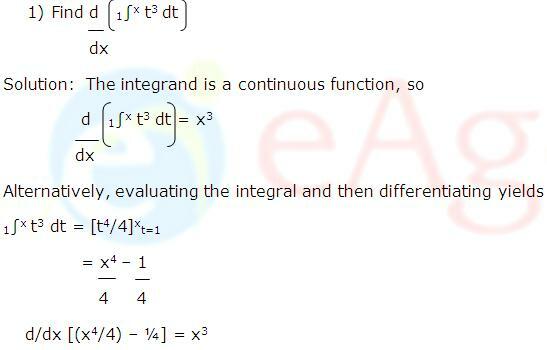 So the two methods for differentiating the integral agree. 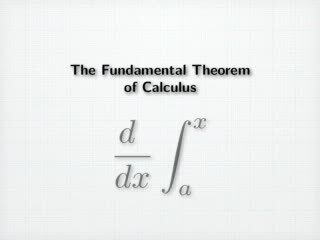 The two parts of the Fundamental Theorem of Calculus, when taken together, tell us that differentiation and integration are inverse processes in the sense that each undoes the effect of the other. d/dx [a∫xf(t)dt] = f(x) which tells us that the function f can be recovered from its integral by differentiating. Thus, differentiation and integration can be viewed as inverse processes.